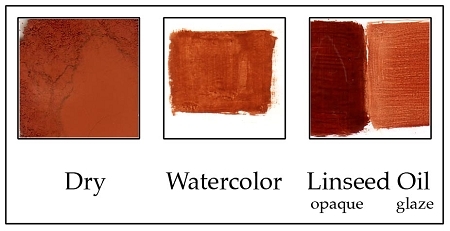 Q: Is this a natural earth pigment or a synthetic iron oxide? A: It is a natural pigment. Q: Is it lime compatible? Casein? A: Yes, this pigment is compatible with lime and all binders, including casein.